Grammy-winning rapper Eminem looks like he might have his go-to secret weapon on deck. New reports claim Slim Shady’s best musical asset Dr. Dre is onboard for his new album. 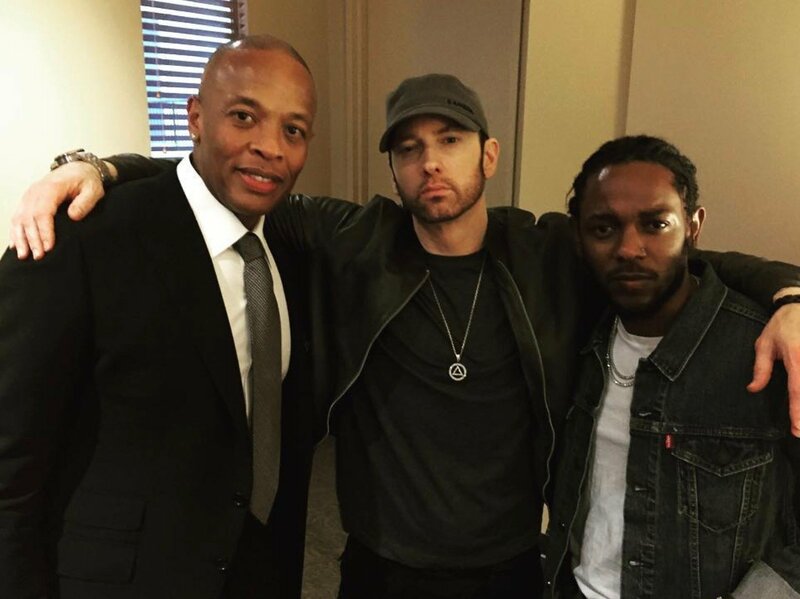 In a recent interview, “The Defiant Ones” director Allen Hughes spilled the shocker about Dre/Em reuniting for new music. Recently, Em raised eyebrows after he hooked up with G.O.O.D. Music’s 2 Chainz. 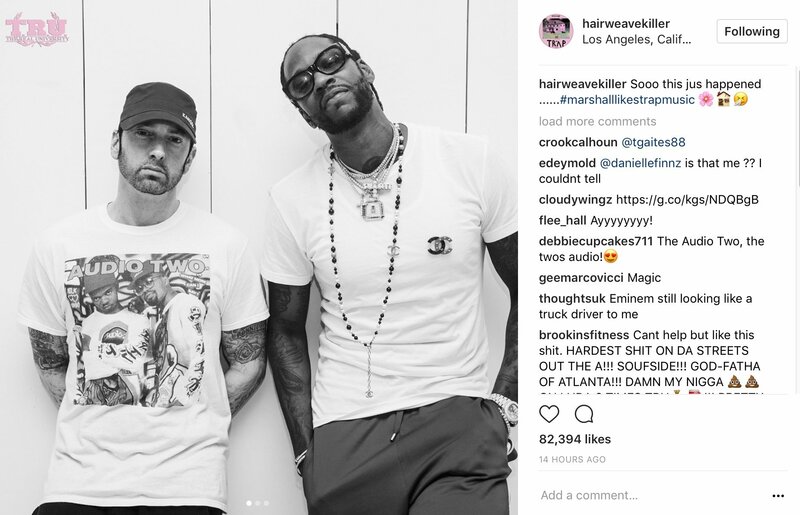 Last month, Em showed off a fresh beard at a The Defiant Ones premiere alongside Dr. Dre and Jimmy Iovine. Earlier the same month, Eminem popped up at a Michigan high school graduation and blessed students with Beats By Dre headphones.